Based in Austin and New Orleans, Maureen Stevens loves history and architecture. She describes her aesthetic as “modern classic,” and looks for pieces that have history and character to bring her spaces soul and life. Her projects vary from modern to traditional, but she always prefers the classics, nothing cookie-cutter. Named one of Austin’s Top 5 Designers to Watch, her work has appeared in Tribeza Magazine, Design & Decor/Urban Home, Make it Over, Romantic Homes, the Austin American Statesman, Wall Street Journal, and popular design and decor giants such as My Domaine, Rue, Domino, HGTV.com and RealSimple.com. 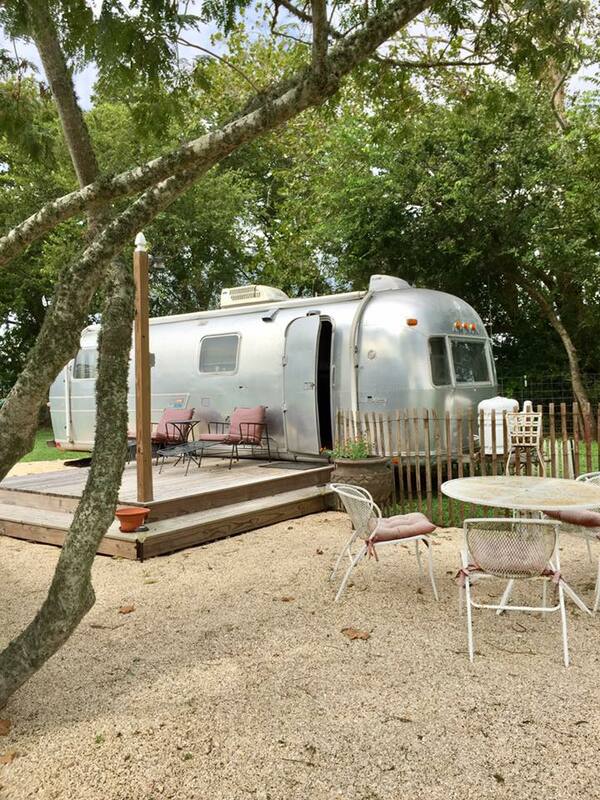 Her buying trips have been bringing her to Round Top for 10 years, and here’s how she does it. 1. Get your accommodations early, early, early. Whether it’s a bed and breakfast, or an Airstream trailer, there are many interesting places to stay, but they go quickly. It’s best to book six months to a year in advance. 2. Do your homework. Research the venues, and narrow down the markets you want to go to. If you are going for a day or two, you can’t do it all. Plan accordingly, especially if you are on a schedule. 3. Market Hill is a must. It has everything under one roof in an easy-to-navigate floor plan. There are seating areas and refreshments. It’s a breath of fresh air away from the usual bustle of Round Top. The vendors are well curated. Some favorites are Antica (she’s been doing this a long, long time); Don and Marta Orwig (fun Americana theme); and, Provenance (really great, unique finds). 4. As for what to wear, be comfortable. Be as laid back as you can. There will be lots of A-list designers, so if you want to dress it up, go for a music festival outfit a la Coachella. A fun hat, a dress, and cowboy boots; it’s Texas, after all, and most places can get muddy, even with a little rain, so walking boots are an appropriate choice. 5. Have a good breakfast. Bring water. Bring snacks, too, especially if you have a certain diet. 6. How to take it home with you: If you are filling a house, or looking for large pieces like a credenza or an armoire, bring a pick-up or rental truck. But it’s not necessary as the sellers have worked with freight, and shippers and will help you with that. 7. As for the art of negotiation: If you really love it, you have a price in mind and what it’s going to take to get it. You can negotiate, but be mindful and respectful. It takes time to source something and to bring it here. You have to respect the vendors for their craft. If you are an avid shopper, you can develop relationships with vendors. 8. Many vendors accept credit cards, but if you pay with cash, you may be able to get a small discount. It’s not uncommon for shoppers to carry large amounts of cash, so it’s not that big of a concern as long as you are mindful and careful about stowing it. 9. A tip is to take a picture of the vendor’s business card and a picture of an item in their collection so it’s easy to recall who it is and where it was because there are so many. To view Maureen’s work, visit maureenstevens.com/projects. Her portfolio is also on Dering Hall and Houzz. Follow her on Instagram @maureenstevensdesign.